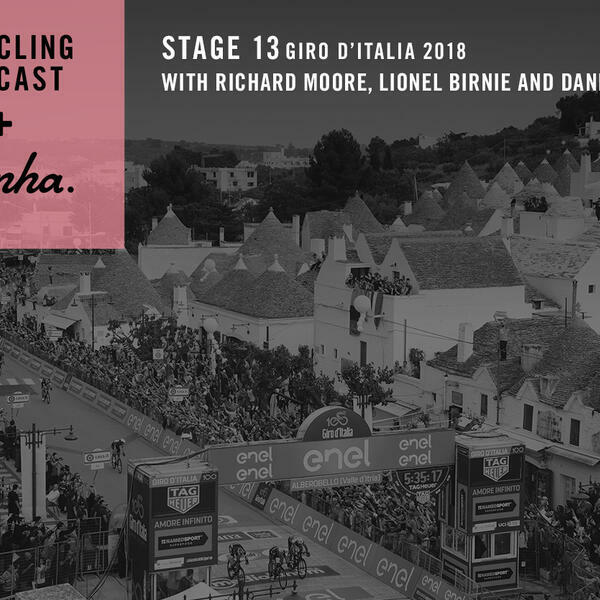 Stage 13 of the Giro d’Italia was the relative calm before the storm of Saturday’s Monte Zoncolan mountain stage but there’s nevertheless a packed episode of The Cycling Podcast from Nervesa della Battaglia. Lionel Birnie and Daniel Friebe recap the stage with Gazzetta Dello Sport’s Ciro Scognamiglia, who sheds light on why Elia Viviani was upset with their coverage of his performance on Thursday. If Viviani had been looking to prove a point he did so in emphatic style with his third stage win of the race. We look ahead to the Monte Zoncolan and hear from the team managers of the riders sitting in the first three places overall – Martial Gayant of Thibaut Pinot’s Groupama-FDJ, Marc Reef of Tom Dumoulin’s Sunweb and Matt White of Simon Yates’s Mitchelton-Scott – about what to expect on the mountain. Lionel and Daniel went on two secret missions – paying a visit to one of the sport’s most notorious figures and then to the restaurant that is the reigning Tiramisù World Cup champions.